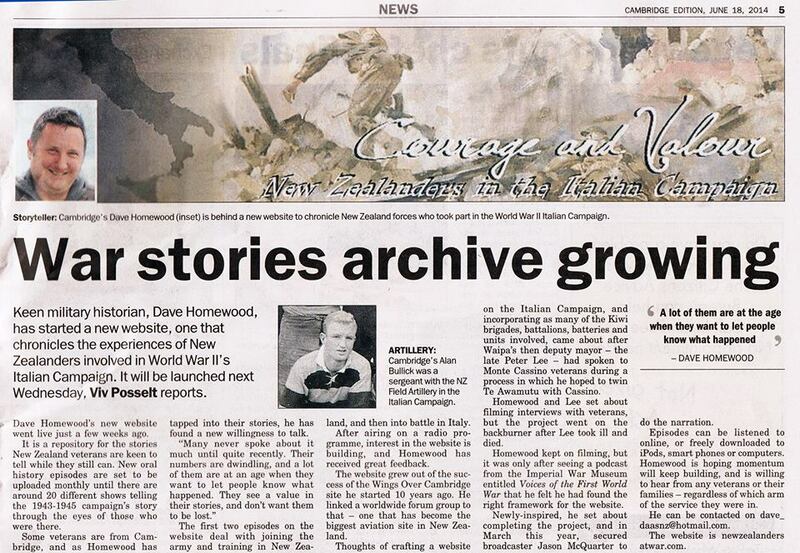 We had an excellent plug for the Courage And Valour series and website from Jim Sullivan’s “Sounds Historical” show (Radio New Zealand National) on the 8th of June 2014. And following on from that, the site has had some more publicity through the local Cambridge Edition newspaper today (18th of June 2014). 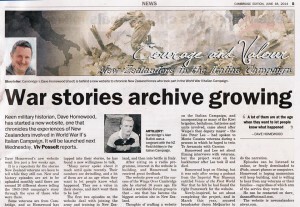 Thanks to editor Viv Posselt for the support for the Courage And Valour project.